Retired, Fit and Happy Couple, Loves Pets & Willing to Travel... Your Home will be in Great Hands. Alan and I have been in love since we met in 1996. 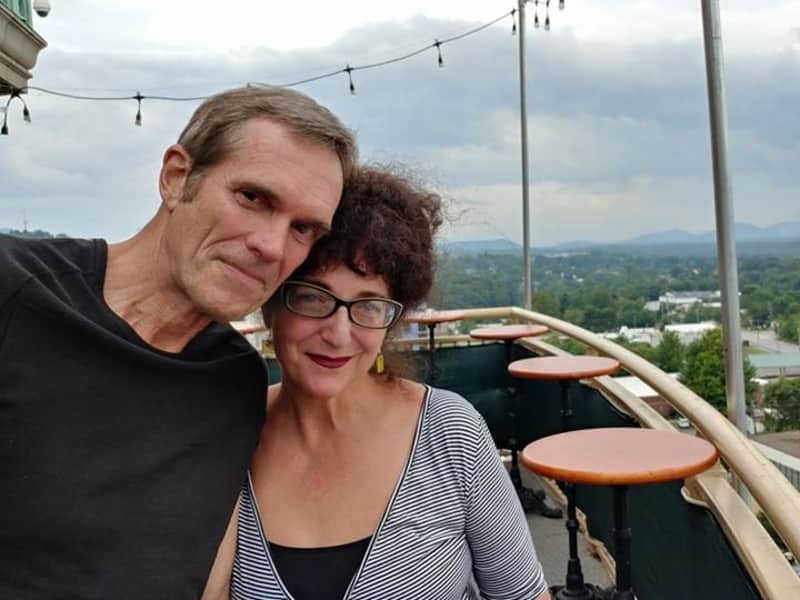 In our 22 years together we have owned & sold three businesses, purchased two homes, raised two magnificent dogs, three extraordinary cats, and nurtured our passion for beauty, travel and art. We are hardworking, responsible and fun-loving while always being sensitive to our environment. Wherever we go we cannot help but leave behind a cleaner and more beautiful place. Because we are grandparents, we keep fit, do not smoke and eat a healthy diet. We are U.S. citizens but I was born in Spain and Alan in Japan. We both speak Spanish modestly and I can embarrass myself with French. In 2017 we were able to retire. We rented our two homes in Asheville, North Carolina and explored Central and South America and Spain. Early this year we chose to live in northern Spain with a Residency Visa. In obtaining our visas we secured our U.S. criminal background records and health certificates which are available for your reference. 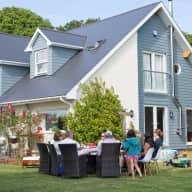 In the past 18 months we have house-sat for friends, cared for their pets, and provided home restoration, gardening and maintenance in the U.S., England and Spain. Animals love us because we deeply care for them. Gardens flourish because we love to nurture them. Homes stay secure and clean because we treat it as our own property. Our dedication and commitment comes packaged with three. Alan, myself and our extraordinary four-legged partner Phantom. Phantom is a ten-year old, neutered male standard poodle. He is very gentle, calm and obedient because I train him everyday to be a gentleman. He has traveled the world as our constant companion for these 10 years. Phantom loves and respects cats and amazingly cats sense his energy and are totally not threatened by him. He is extraordinary with other dogs as he grew up in our dog friendly office (Seven-Star Events) with 14 other dogs. His behavior with farm animals so calm as to appear disinterested. He is always meticulously groomed, he does bark and he does not shed fur/dog hair. With the three of us in your home you have absolute peace of mind that your pets will be secure and content and your home safe and in perfect order. Contact us so you can travel with absolute confidence and peace of mind. We are pensioners and love to experience new places. We are fit and love to walk and keep active. Our current home in Porto do Son, Spain, is a small fishing village so we relish any opportunity to enjoy new surroundings. We delight in meeting and caring for furry friends, gardens and homes. Most important it is a pleasure to help others. We love to provide owners with a sense of security and confidence so they too can fully enjoy their time away whether for pleasure or business. Since 2000 Alan and I have been a go-to home for friends needing pet sitting. When you meet us you instantly know we love and respect animals, people and property. We know how important it is to follow instructions and advice. And when in doubt, we do not hesitate to check-in and communicate. Currently in our village, we help our elderly neighbors with their chickens and often groom and walk a young mare. We especially delight in pet sitting a very handsome chocolate lab named Dordo. Alan in particular is quite the animal magnet. He has had over his life birds including doves, parakeets, finches and canaries. He has raised tropical fish for pleasure and professionally. Together we have taken care of horses, goats and cows (from milking and feeding to mucking out stalls). It was an absolute pleasure to have Alan, Georgia & Phantom as our housesitters this year. They took great care of our house and dogs and even taught us a few new tricks, introducing us to a slow feeding dog bowl and (after responding to an off the cuff comment I made) reorganising my kitchen drawers in a far better way than we had them! After a long journey back from France, we returned home to a clean house and supper awaiting us - what a joy! We had never before had housesitters who came with their own dog, but Phantom is quite something, like a human dressed as a dog. He was by far the best behaved guest (of any species) we've had come to stay. I can definitely recommend the three of them. Thank you Georgia, Alan & Phantom. Alan, our dog Phantom and I loved the opportunity to stay with two great dogs in a lovely home for an incredible family. We were so pleased we could contribute to the Mansell's summer vacation. Georgia and Alan are great with dogs. They looked after our house and dog while we were away and we were delighted with the outcome (the dog too). We found them to be conscientious and reliable. I would have no hesitation in recommending them as sitters. Georgia and Alan have spent 4 months in my house in Galicia and have taken great care of it. It's better than how they found it !!!! I've known Georgia and Alan for many years, and was delighted to meet Phantom when they brought him into their family. These folks are intelligent, worldly, responsible, and uniquely creative in how they live their lives. I would not hesitate to recommend them to care for a home or animal of mine. Alan, Georgia and Phantom have taken care of our dogs and home in Biltmore Forest, North Carolina on several occasions. Our two dogs Hilde and Max are people and dog shy, but not with this trio. The moment they arrive they become a wonderful pack. Georgia and Alan are super responsible and most conscientious. As for Phantom, well he is more monk than dog... truly quite, calm and lovable. During our trips, they make sure we know that our little dog pack is secure, happy and cared for with photos and text updates. They ensure all our dog special needs are met with tenderness and lots of exercise. Each time we have returned to our happy dogs, the house is spotless, lawn is mowed and the garden is flourishing. Our only disappointment is that they are now living in Spain. We highly recommend them. I have known Georgia and Alan over 16 years and met Phantom when he was brought to their home 10 years ago. They are a very special trio. I would trust them without any hesitation with my home and my pets. Not only are they reliable, kind and responsible but also very talented and hardworking. They can run a business, restore a house, upholster furniture, beautify a home, landscape a garden and make friends with even the most reluctant dog. Phantom is so calm you forget he is even there; a real sweetheart. Your home and pets are in the best of hands with Georgia and Alan. 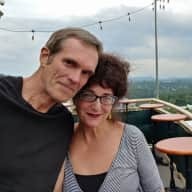 Past includes: CFO of Whole Life Expo 1996 - 2000; CEO of Seven-Star Events 2000 - 2013; and, Co-owner/Partner of Lex 18 Moonshine Bar & Jazz Supper Club 2014 - 2017, Alan, my life and work partner since 1996, and l retired when we sold our last business Lex 18. We now live in northern Spain where we have taken up creating acrylic and oil artworks.